Dr .Jennifer E. Stevens-Lapsley, PT, PhD, has excelled as an educator, researcher, and faculty member, and was promoted to associate professor at the University of Colorado after just four years on the faculty. Presently associate professor for the physical therapy program at the University of Colorado's Anschutz Medical Campus, Stevens-Lapsley has also served as an associate investigator at the Malcom Randall VA Medical Center, and physical therapist for Select Medical Outpatient Physical Therapy and Oak Hammock Continuous Retirement Community Clinics. 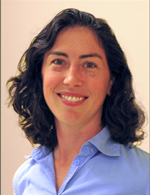 She was a post-doctoral fellow at the University of Florida and holds a PhD in biomechanics and movement science and MS in physical therapy from the University of Delaware, and a BA in biology from the University of Virginia.She has published more than 100 articles.